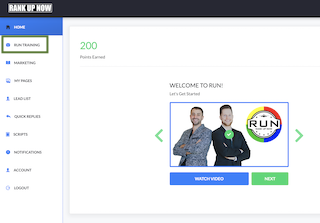 Click on RUN Training from the side navigation. In the Crawl mode, you'll start with the Mastering the Basics Training. 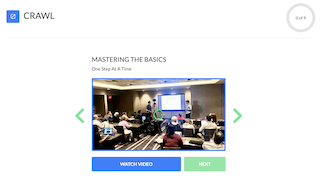 Once you have watched the video and completed the training, click on Next to go to the next training module. 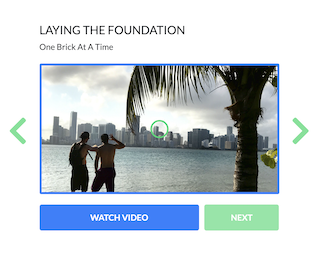 By the way, that button will not work until you have watched the video from start to finish. 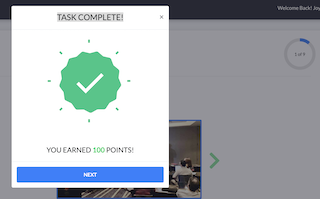 Once you have viewed the first video, you will earn 100 points and a badge. The next training focuses on the next step you'll take to gear you up for RUNning your business! Go from Crawl to Walk to Run by earning points and badges and getting the training needed to be successful with your business.